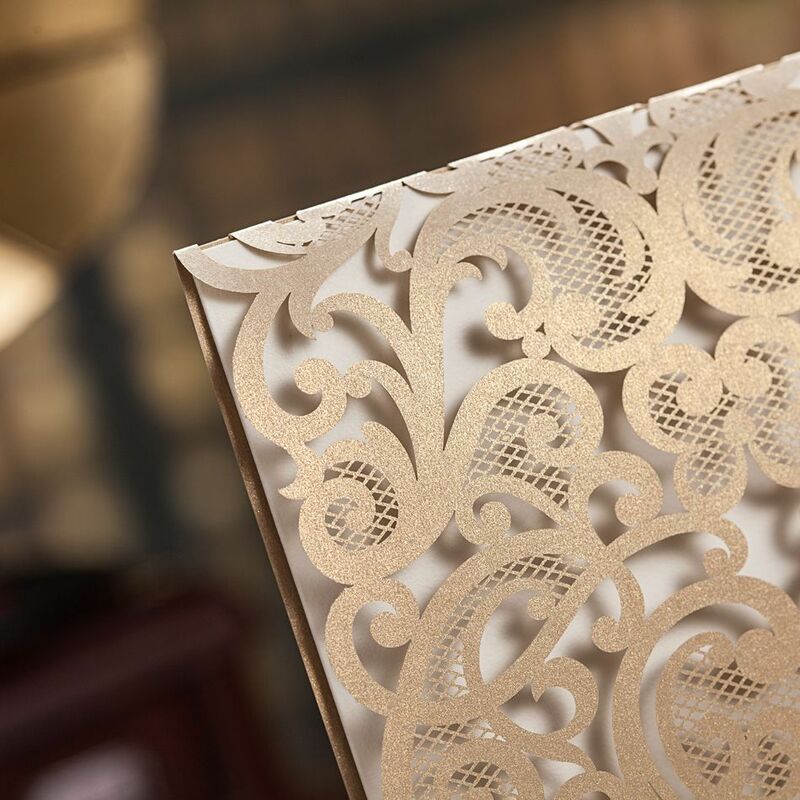 Guru’s Gate is an exquisite Sikh invitation card with stunning intricate laser cut details. The navy blue invitation has a marble look inside to make it feel like a grand gurdwara (Sikh Temple) with its marble decor when opened. Option to have all three panels printed with text, The invite is completed with a paper belly ban printed with the couples names. PLEASE NOTE: Samples are made on request and include without printed text, this is to speed the delivery process of your sample. If you require text please let us know and allow 7-10 working days for delivery.